Need a quick weekday dinner? 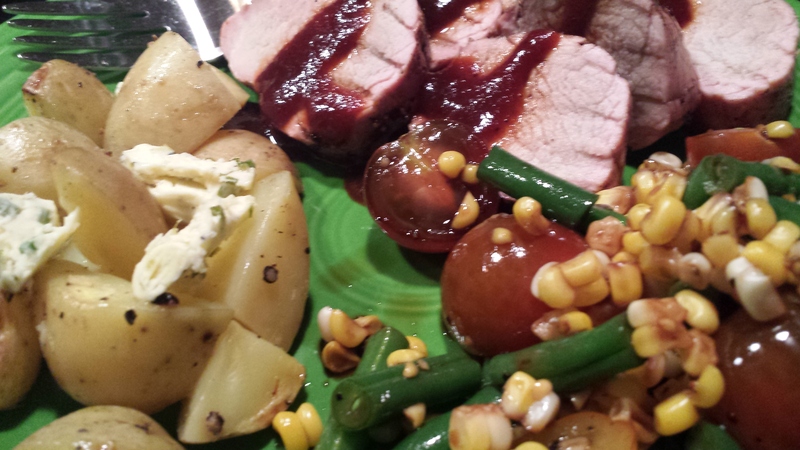 How about some grilled pork tenderloin and packet potatoes. 30 minutes on the grill and you are ready to go. The key is to not overcook the pork. The old guide lines would tell you to cook pork to in internal temp of 180 degrees – that is way too much. At that temp the pork will be gray and dry. You only need to reach a temp of 145 degrees for a perfect grilled tenderloin. The pork will have a little pink to it and be juicy and flavorful. 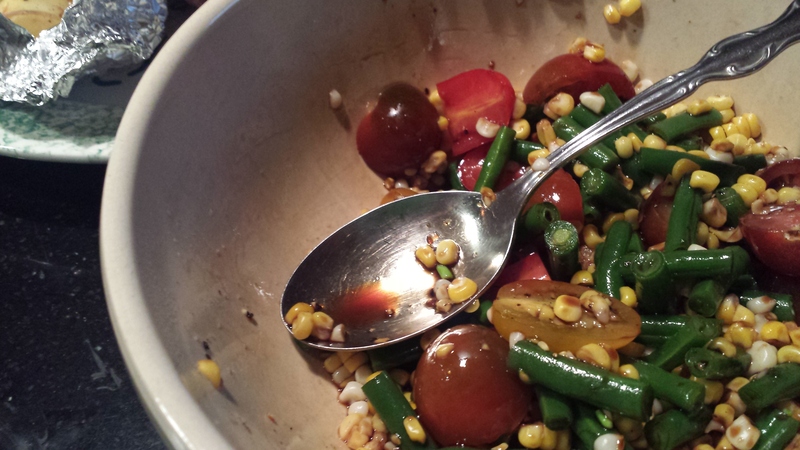 Along with the pork and taters we added a side of sweet corn, tomato and green bean salad with fig balsamic dressing. With the farmers markets in full swing, it is a perfect time to get fresh veggies. Season the pork with salt and pepper, drizzle with olive oil and grill over medium-high heat for about 30 minutes. Slice and toss the potatoes in some heavy duty tin foil. 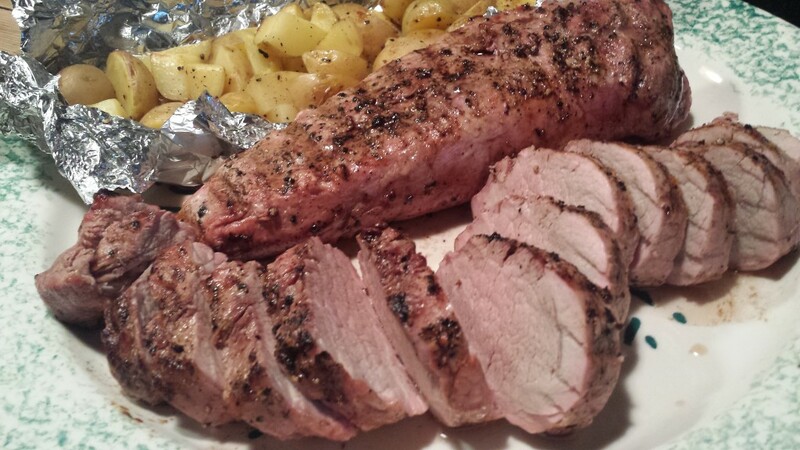 Season with olive oil, salt and pepper, seal tight and grill along with the pork. Serve with your favorite BBQ sauce and you have a delicious weekday meal. Cheers! Could not find “Chil 1” Powder anywhere. Where do you get this ingredient? From the bottle on the table it is not Chili powder. Any help? Sorry for the late reply. I am not sure what you are asking about. Were you looking at a different post?